PERHAPST IS JOHN MOEN FROM THE DECEMBERISTS! ALBUM ALSO FEATURES STEPHEN MALKMUS PLAYING GUITAR. 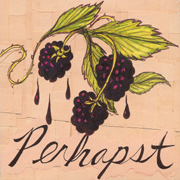 Former Elliott Smith/Stephen Malkmus & The Jicks drummer, John Moen, a current member of The Decemberists, used his time off from touring to make Perhapst' s self-titled debut. "Perhapst" is filled with quirky, catchy, hook-laden indie-pop, experimental folk-rock, and even some twang for flavor, all delivered with a smirk and a smile. John Moen plays the majority of instruments on the record. Friends such as engineer Eric Lovre (of the Dharma Bums) also lent some instrumentation help, and Stephen Malkmus assisted Moen, too, playing some guitar on the record. The live band consists of: John Moen, Chris Funk (also a current member of The Decemberists), Jonathan Drews (Sunset Valley), and Eric Lovre (Dharma Bums). Some may remember John Moen as the front man for NW favorites The Maroons, or drummer for the widely popular early 90s indie-rock outfit Dharma Bums (Frontier Records). However, here, much like in The Maroons, Moen showcases his sweet, lullaby-esque vocals, dreamy melodies, and ability to create laid-back, sophisticated pop hooks with cloud-like softness, ensuring that anyone that lists to Perhapst's self-titled record will walk away relaxed, at ease, and humming a song or two. The Maroons deliver exhilarating, highly melodic pop music that is sugary sweet, but not afraid to rock. This is some of the most memorable pop music you're likely to hear in 2002. 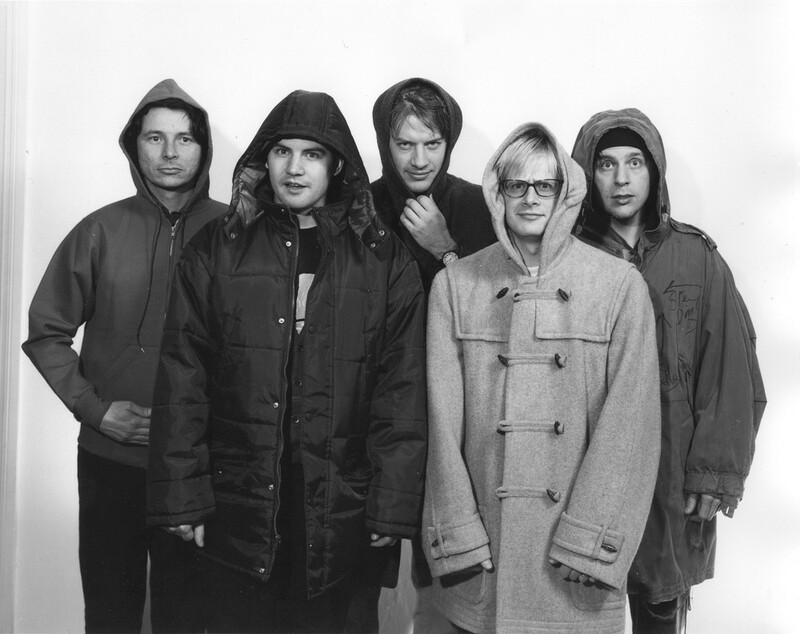 Front man John Moen has played drums for some of the Northwest's most influential artists, including Elliott Smith, The Spinanes, Fastbacks, Pete Krebs and the Gossamer Wings, and Heatmiser (to name a few). Moen is currently the drummer for Stephen Malkmus and The Jicks. The Maroons' keyboard player, Mike Clark, can be seen playing guitar/keyboards for Stephen Malkmus and The Jicks. The Maroons' lead guitarist Jim Talstra has played in Minus 5 and bassist John Cox is a member of surf-rockers Satan's Pilgrims. Rounding out the line-up is Eric Bennes on drums. 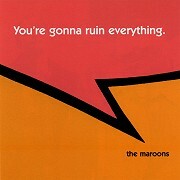 You're Gonna Ruin Everything is The Maroons sophomore release, a contagious, danceable collection of warm, brilliant pop music sure to appeal to the indie rockers, pop fanatics, and power-pop fans alike. Moen's pretty, inviting voice is intoxicating, filling you with the beautiful sounds he creates, while the rest of the band captures the essence and creates a lush pop backdrop for you to dwell in as Moen's voice smoothes you over and puts a smile on your face. If you were to judge The Maroons on their affiliations, they would be unstoppable. However, every band should be judged on their music, and not their connections. With this in mind, The Maroons pass with flying colors, as You're Gonna Ruin Everything is one of the best records of 2002, an album critics and fans alike will surely flock to, making more than a few "best of" lists this year.